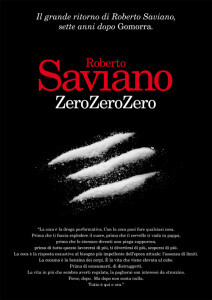 Ian Thomson at the Telegraph offers a piece of Italian author Robert Saviano. Roberto Saviano, baldheaded and dark-stubbled, is recognisable to most Italians. In Umberto Eco’s opinion, the 36-year-old Neapolitan journalist is a “modern Italian hero”. Paradoxically, the more famous Saviano becomes, the greater the need for him to be invisible. For the past 10 years, Saviano has been under police protection. His bestselling exposé of the Neapolitan Mafia, Gomorrah, published here in 2007, became an internationally celebrated film that put his life at risk. As I expected, plain clothes police are discreetly in evidence in the London hotel where I meet Saviano to talk about his new book, Zero Zero Zero. The son of a Neapolitan doctor and Genoese mother of Sephardi-Jewish origins, Saviano is surprisingly easy to talk to, and his conversation ranges from classical music (“Claudio Abbado was a great friend”) to the inquisitorial realism of Francesco Rosi’s Neapolitan films.